UPDATE: Check out our Samsung Galaxy Note 9 review (early verdict). The Samsung Galaxy Note 9 has been leaking like crazy ahead of its official unveiling today at Samsung's Unpacked event in New York, which you can watch live. And with this Note 9 leak, we now know everything we need to know about Samsung's big-screened handset. Russian Twitter user @dryab has got hold of a retail box for the Samsung Galaxy Note 9 and posted a photo online. The shot, which shows the back of the box, reveals all the key specs for the handset leaving pretty much nothing left to reveal at the launch on Thursday. One thing to note is that these specs refer to the base model of the Note 9. Other models will exist with more storage and RAM. 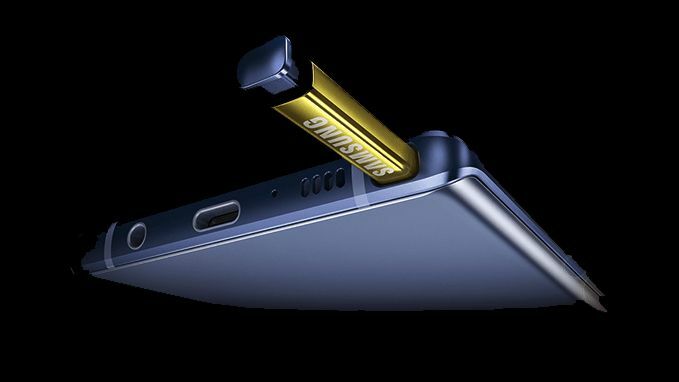 For example, we also know of a 512GB version of the Note 9. All those Note 9 specs are in line with recent rumours although that confirmation of a 6.4" screen ends speculation as to whether the screen would come in at 6.3" or 6.4". The mention of a remote control S Pen again confirms the S Pen's Bluetooth functionality – Samsung has talked up how it works in its Note 9 marketing materials. Samsung has given the camera app some new smarts, too. In leaked marketing slides it explains that the camera "makes it nearly impossible to take a bad shot". Those slides confirm the same rear camera specs as the retail packaging shown below. Along with the photo @dryab tweeted: "And here it is. While the Koreans are preparing for a global presentation in New York, the brand new Samsung Galaxy Note 9 already lies in Russian stores. Now all the characteristics before the announcement are known." At this point we'd normally say the only thing left to leak is the official Note 9 launch video, but Samsung New Zealand has already leaked that. Oops.